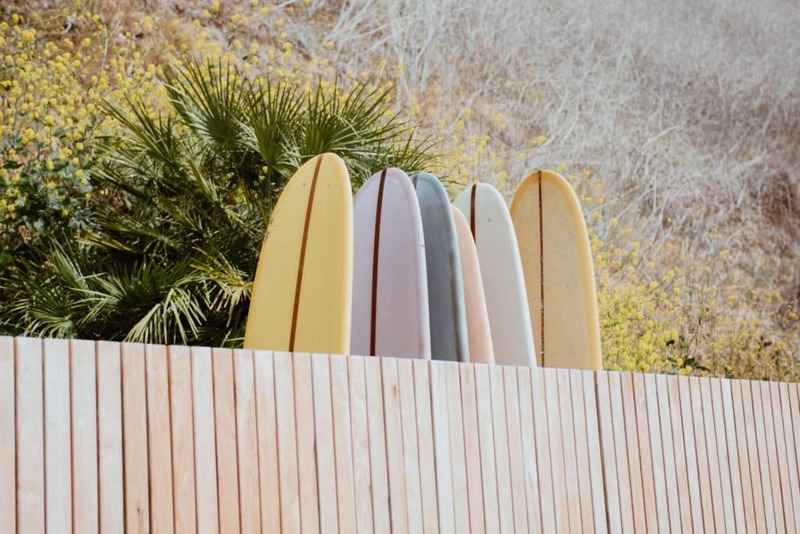 The legendary Surfrider Hotel in Malibu California first opened in the 1950’s and was a perfect little motel for visiting surfers who flocked to the famed long green walls of the legendary right point. Pop culture got its first look at Southern California beach lifestyle with the cult classic film “Gidget.” That movie alone turned the sleepy surf town of Malibu into a world wide draw which also watched the surf crowds explode from a few dozen in 1951 to hundreds or new surfers chasing the dream of Gidget by 1957. 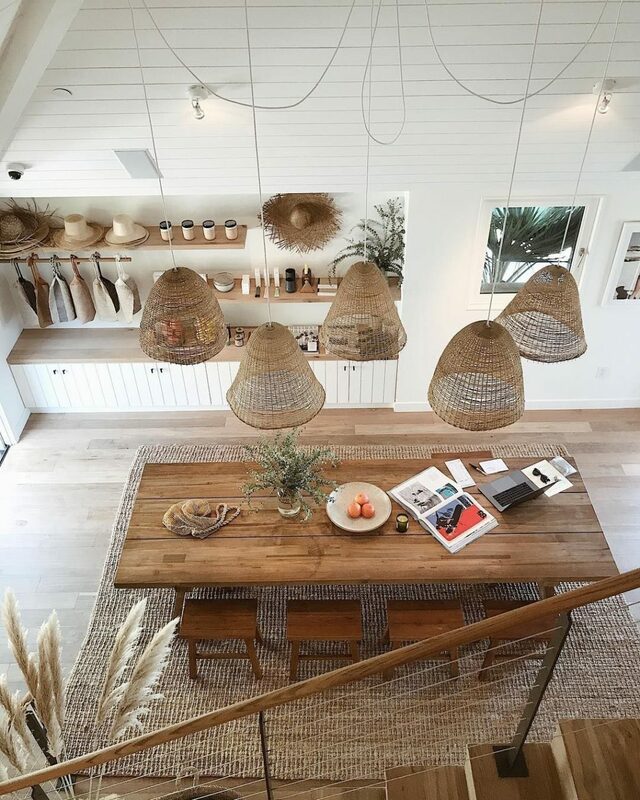 That was just the beginning and the little Surfrider Motel was constantly booked solid for decades until it fell under disrepair and was sold in 2013.Today it is reopened under the name Surfrider Malibu and it is looking better than ever thanks to Burdge and Associates Architects. 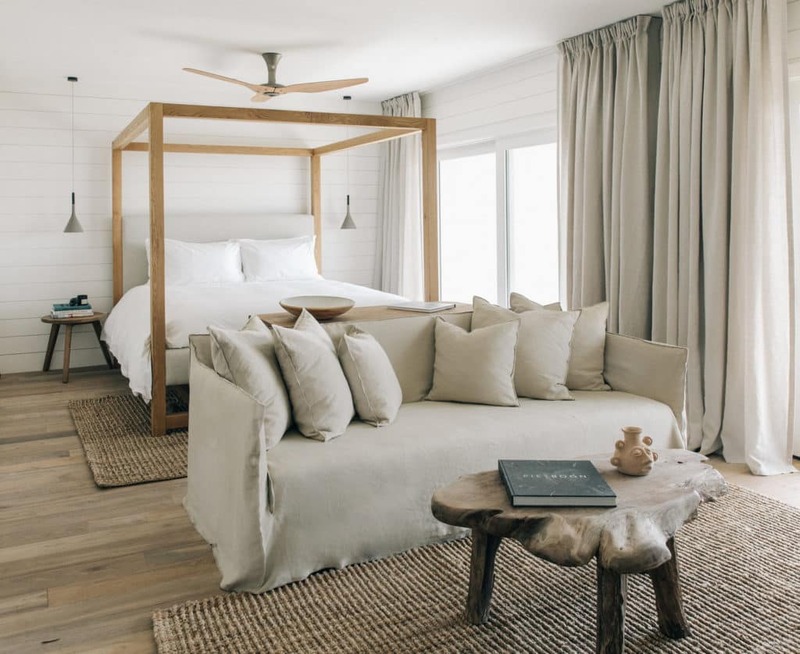 With a beach inspired decor that features reclaimed teak flooring, stairs, decking and more from Indoteak Design, the hotel relaunched in Summer 2018 and features 20 gorgeous rooms that overlook the world famous Surfrider Beach. Indoteak Design was called upon to provide materials that told the story of a relaxed beach lifestyle but also because of our unique story on how we create our products. All of our teak is reclaimed, coming from buildings in Southeast Asia that were slated for demolition after housing families and businesses for 100 years or more. These old timbers are then collected and hand gathered, scoured and transformed into beautiful products with patinas that only nature could create. Today plantation teak is a shadow of what it used to be. Our reclaimed teak was harvested hundreds of years ago when teak forrests were centuries old. That old growth had the strongest cell structure and aged, tested by hundreds of years of storms, weather, winds and sun. Trees grew to 150 feet in height. These are the planks we exclusively get for our products. Plantation teak is soft, weak and only 10-15 years old at the most. So if anyone asks what the difference is between the two, know you know. There is no comparison. If California could be made into a room, this would be it. 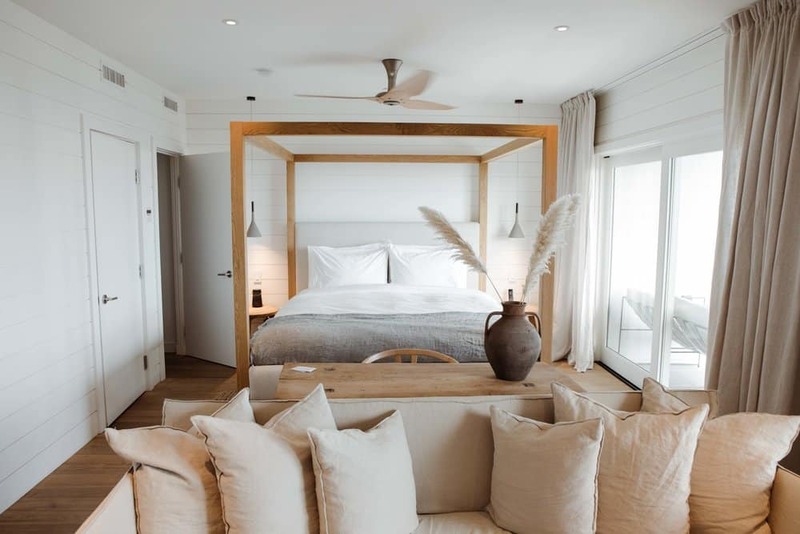 Situated on the second floor with panoramic views of Malibu Pier, Surfrider Beach and famous First Point, the 500-square-foot suite features a custom designed California King four poster bed, spa rain shower, living area with one-of-a-kind furniture including a Belgian linen couch. Additionally there is an ensuite kitchenette designed to make you feel at home and a double sized outdoor terrace complete with loungers, a hammock and outdoor dining area to catch the famed Malibu sunsets. The suite is fit out with Bellino linens, Grown Alchemist amenities, Bose speakers, Parachute robes and a mini bar stocked with local California treats. Max occupancy 2 guests. The Malibu Suite has been designed to feel like your own Malibu Beach House. 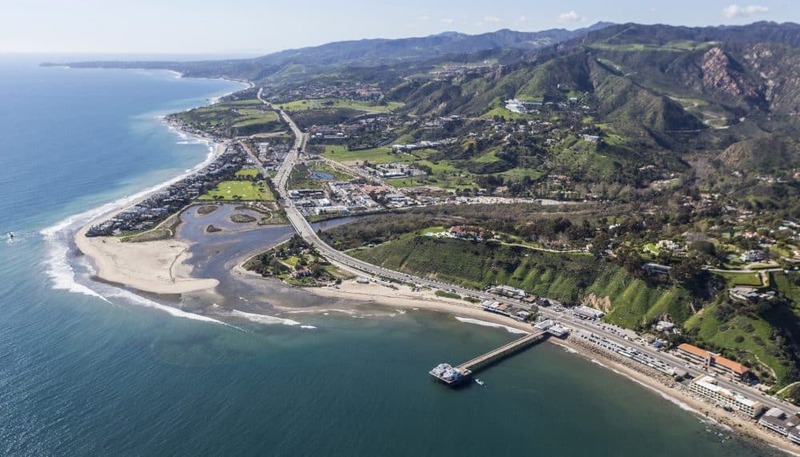 It’s a 500-square-foot two room suite with beach-house vaulted ceilings and panoramic views of the Pacific Ocean, Malibu Pier and Santa Monica Bay. The suite features a custom designed queen size bed, spa rain shower, separate living area for lounging (with a custom linen lounge) and a private double sized outdoor terrace with hammocks and outdoor dining space perfect for watching the surfers and the sunset. 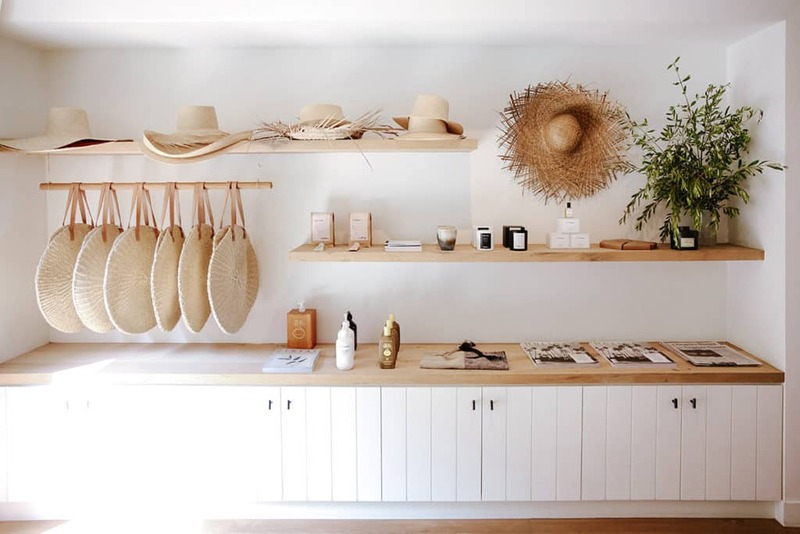 In addition, the suite is fit out with Bellino linens, Grown alchemist amenities, Bose speakers, Parachute robes and a mini bar stocked with local California treats. Max occupancy 2 guests. This upstairs corner room has the best vantage point of the renowned First Point in all of the hotel from both the private balcony complete with outdoor dining furniture and also from the oversized panoramic window (from bed, all you can see is sky, Pacific ocean, surfers and The Malibu Pier!). The 250-square-foot room features a teak queen sized bed fitted with the finest Bellino linens, spa rain shower, Grown Alchemist amenities, Bose speakers, Parachute robes and a mini bar stocked with local California treats. Max occupancy 2 guests. This beautiful fence was created out of Indoteak Designs 100% FSC reclaimed teak decking material. These 250-square-foot 2nd floor rooms have been designed with California in mind. 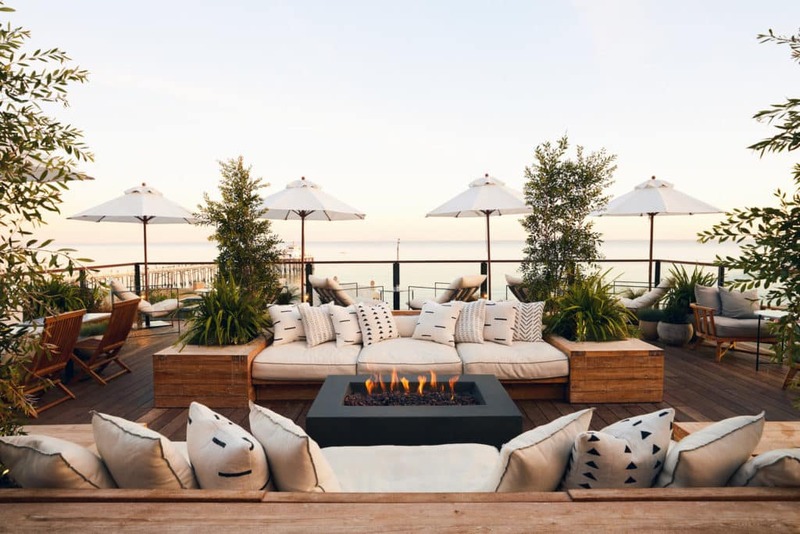 They feature a custom teak queen-sized bed fitted with the finest Bellino linens, spa rain shower and a private outdoor terrace with views of the Pacific Ocean and outdoor dining furniture. Each room includes Grown Alchemist amenities, Bose speakers, Parachute robes and a mini bar stocked with local California treats. Max occupancy 2 guests. These 250-square-foot 2nd floor rooms have been designed with California in mind. They feature a custom teak queen-sized bed fitted with the finest Bellino linens, spa rain shower and a private outdoor terrace with partial views of the Pacific Ocean and outdoor dining furniture. Each room includes Grown Alchemist amenities, Bose speakers, Parachute robes and a mini bar stocked with local California treats. Max occupancy 2 guests. This is what we like to call our Surfers Shack. Located on the first floor, under the kitchen (where they bake fresh bread from 6:00am! ), and on the mountain side of the property its our only non-ocean view room. The 250-square-foot room features a queen-sized bed, bath tub with a spa rain shower head, robes from local Parachute home, Bose bluetooth speakers and a minibar stocked with local Californian treats. It’s cozy and has a special kind of quirkiness that reminds us of The Surfrider in it’s iconic days when you’d sleep all night, rise with the sun and surf all day. A wee bit of pitter patter when the chefs are baking upstairs but beautiful all the same. Max occupancy 2 guests. 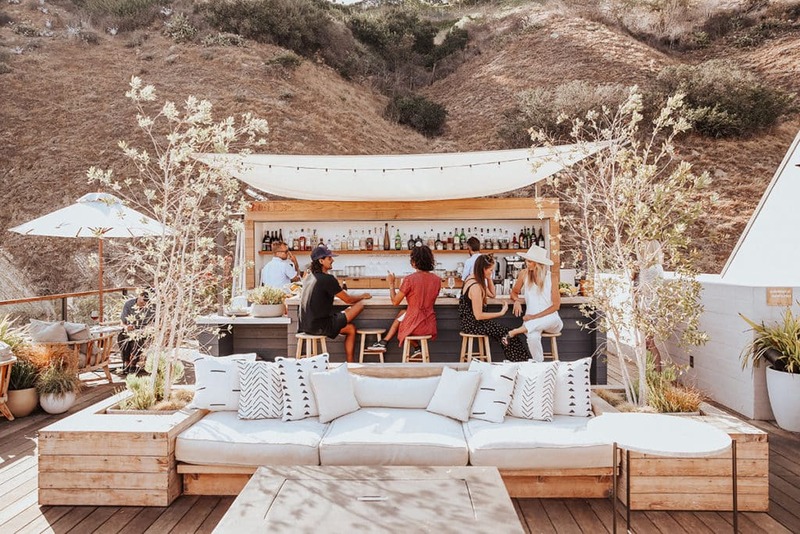 What better pace to sit and relax than the deck at the Surfrider Malibu which looks out over Southerns California’s most famed surf spot.